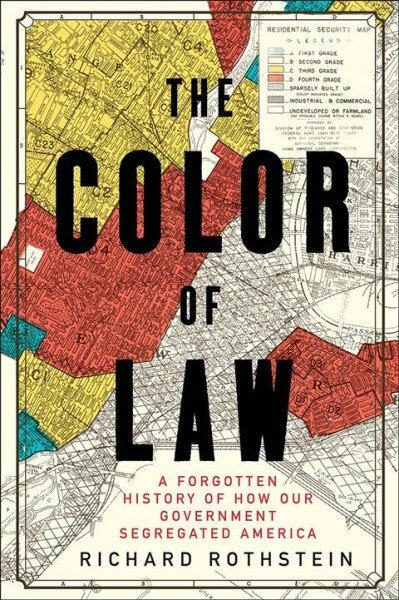 The Color of Law describes how segregation in America—which continues to impact major cities and contribute to social strife—is the byproduct of government housing policies at the local, state and federal levels. As a former columnist for the New York Times, research associate at the Economic Policy Institute and fellow at the Thurgood Marshall Institute of the NAACP Legal Defense Fund, Richard Rothstein has spent years researching the evidence that government not only ignored discriminatory housing practices but promoted them. The impact has been devastating for generations of African Americans who were denied the right to live where they wanted to live. The Fair Housing Act of 1968 provided modest enforcement to prevent future discrimination, but did nothing to reverse or undo a century’s worth of state-sanctioned violations of the Bill of Rights, particularly the Thirteenth Amendment which banned treating former slaves as second-class citizens. As a result, the conditions established by 20th century federal policy endure. Rothstein reveals how the government and the courts upheld racist policies to maintain the separation of whites and blacks—leading to the events in Ferguson, Baltimore, Charleston and Chicago.